Formerly the village school in the cutely named, Icklesham, in East Sussex, it’s only right this 4-bedroom family home is fully baby and child friendly, plus the wow factor styling and architectural features will earn it full marks too! The Old School is a grade II listed building dating back to 1847. 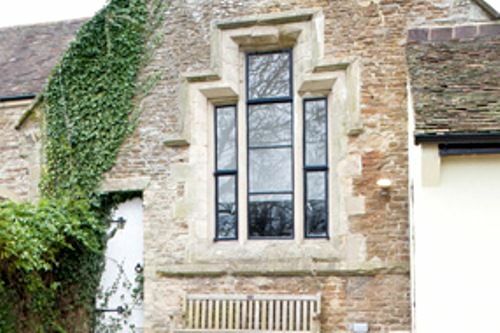 It was converted into a family house with striking architectural features in the 1970’s and then transformed into a boutique bolthole with vaulted ceilings, huge cathedral windows and an impressive fireplace by the current owners in 2011. This is the kind of place it almost feels an honour to stay at but despite the majesty of the architecture, it is comfortable and cosy too. The large living/dining room used to be the school assembly hall but it’s a whole lot more luxurious these days. with two comfy sofas and several armchairs are arranged in front of an impressive working fireplace. Plus, there's home entertainment including a plasma TV, DVD player, Xbox and iPod dock. The large, modern, Shaker style kitchen with stunning marble worktops would have only been in the dreams of the school's former dinner ladies. 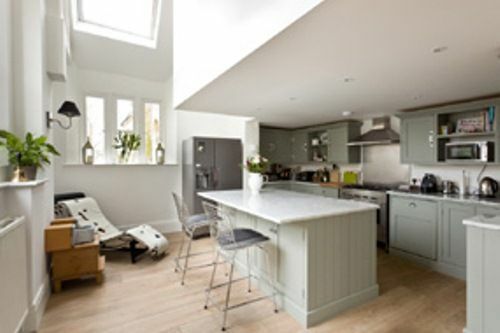 It is equipped with the latest appliances, including a gas range oven and microwave, American style fridge freezer with ice dispenser, a separate drinks fridge, food processor and even an ice cream maker with recipe books. There are a couple of bar stools at an island unit for enjoying a cappuccino from the Nespresso and 2 armchairs make a handy spot to flop while the Avent steriliser does its thing. Adjacent to the kitchen is a separate laundry room with butler’s sink, washing machine, tumble dryer, iron etc. 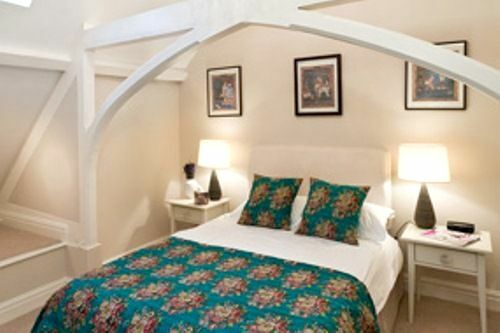 The big master bedroom is on the ground floor, with calming muted decor, king size rattan bed, plasma TV with DVD player and an en-suite with walk-in shower. Helpfully for parents with a baby or toddler, a second bedroom is also on this floor, which is cheerfully decorated for the owners’ daughter and full of lovely toys but also suitable for one or two grown-ups as the single bed can be converted into a double. 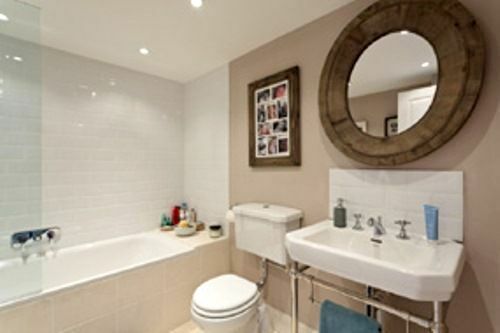 The family bathroom has a bath/shower, freestanding sink and wc, then its upstairs to the two other stunning double bedrooms and a separate shower room/wc. These bedrooms have raised alcoves beneath arching roof eaves where there’re room for a cot or for small children to snuggle down in a sleeping bag on Bill Brown cushioned sleeping mats. It’s always playtime at this Old School and even a bit of learning is fun thanks to all the toys, jigsaws and puzzles, including a Baby Activity Station, Fisherprice Rainforest Jumperoo, V-Tech push walker, Leapfrog Learn and Groove Musical Table and alphabet floor mats. The enclosed lawned garden is also a safe place to play garden games including skittles, giant Jenga, swingball, boules, badminton, rounders and cricket. Families can also pop round to the playground behind the house, with a McLaren Techno XLR Buggy, Baby Bjorn carrier and Little Tikes toddler car provided. While little ones play in the garden, parents can relax in wicker chairs on the patio, enjoy a long lunch at the large teak table, stoke up the gas BBQ or chiminea, or perhaps best of all, discover a bar, bar stools and drinks fridge in the Summer House making it a pretty cool play house for grown-ups too! The Old School comfortably sleeps 8, with four bedrooms, plus extra sleeping areas with bedding and sleeping bags for 4 children and 2 travel cots plus a Moses basket can be provided. On the ground floor, the master bedroom has a king size bed and en-suite shower room; a second bedroom is set up a child’s single but has a bed which pulls out to be a double; and the family bathroom has a bath with overhead shower, washbasin and wc. Both bedrooms on the first floor are doubles. 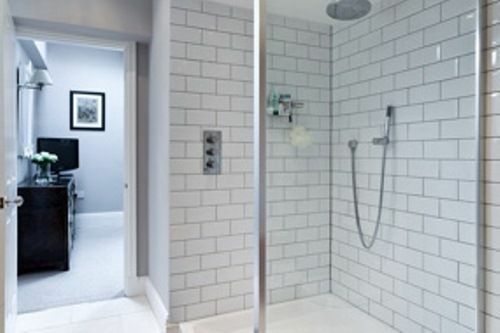 There is also a separate shower and wc on the first floor. All bedrooms have space for a cot. The Old School is located in the village of Icklesham, in East Sussex, between medieval Rye (3.5 miles) and historic Hastings (7.4 miles). At the back of the house, the recreation ground has a children’s playground and The Queens Head is a traditional village pub, noted for its real ales and good food, including locally caught fish and children’s portions, plus there’s live music on Sundays from 4 to 6pm. The medieval town of Winchelsea is less than 2 miles away and The Ship at Winchelsea Beach is well worth a visit. Besides the Inn and lovely garden, it’s home to the Ship Store deli and Jamie Wickens the butcher, who is one of Rick Stein’s Food Heroes with specialities including Romney Marsh lamb, Cotswold White free range chicken and ‘Champion of Champions’ sausages. The ancient ‘Cinque Port’ of Rye is a bustling little harbour town with a thriving fishing fleet, and a variety of shops, pubs and cafes. The Mermaid Inn was a notorious haunt of smugglers and the creator of Captain Pugwash, John Ryan, was one of many artists and writers to live here. Families can enjoy bird spotting in Rye Harbour Nature Reserve or head to the fabulous Camber Sands nearby, to clamber among sand dunes and have a shoreline treasure hunt as Camber has been voted one of the best places for beachcombing in the country. The famous 1066 town of Hastings is steeped in history and families can learn all about it at Hastings Castle. Other family attractions include The Smugglers Adventure and The Blue Reef Aquarium, plus Clambers Indoor Play Centre. Families can easily fill a day at the Rare Breeds Farm near Ashford, where children can meet a host of farm animals, visit Creepy Crawler World, enjoy trailer rides and have fun in the play barn among the many things to see and do. Alternatively, the Romney, Hythe and Dymchurch Railway choo choo’s passengers along the coast in a variety of shrunk down steam trains. The property is fairly flexble on start dates outside of high season however week long stays which do not begin on a friday are subject to the owners discretion so please bear this in mind when booking. I live in London, England with my husband, daughter and son. We both work in London but bought The Old School in 2010 as we wanted to spend weekends out of the city and enjoy the English countryside at its best. We love the house and buying in the beautiful area of Icklesham, on the Brede Valley, with the beach a short distance away, was the best decision we ever made for us and our children. We both love travelling and are lucky enough to have visited many far flung countries and have brought pieces of furniture back with us from our travels which we've used to decorate the house. Our favourite past times are cooking, socialising with friends, playing and watching sports and skiing. We bought The Old School after falling in love with the area. 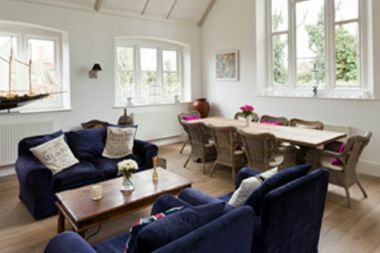 We wanted a house with lots of character in a village with a great pub, close to the beach and beautiful country walks. Icklesham gave us all of that -its on the edge of the stunning Brede Valley with plenty of walking and cycling routes and we have the award-winning, family-friendly Queen's Head pub a few minutes walk away with wonderful staff and food. The picturesque towns of Winchelsea and Rye are close-by and there is lots to do in the area for all ages, whatever the weather. Being close to Camber Beach is heaven in the summer time although we can enjoy blustering walks all through the winter too. The location is easy to get to from London via road or train. Overall, we love the area! 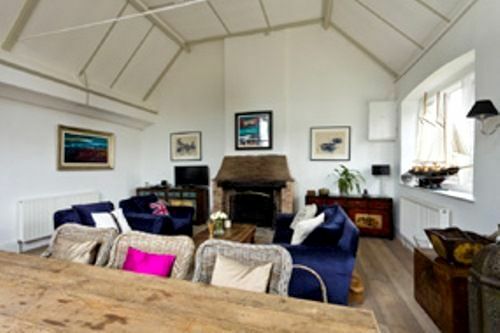 The Old School, dating from 1845, is a unique property with great open plan, double height ceiling space in the living area and cosy bedrooms. 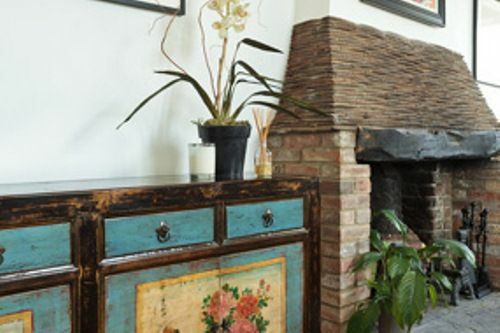 We've completely refurbished it inside whilst retaining the important period features such as the huge fireplace. If you love good food as we do, there are numerous fantastic restaurants in the area and the beaches of Camber and Winchelsea are a short drive away for all the beach-lovers. If you like an active holiday, there are so many options available from watersports, golf, tennis to bowling to name a few. There really is something for everyone! We've tried to supply all the practical and fun things you need when holidaying with children so the house and garden is really well equipped for kids of all ages. Younger kids will love the added bonus of a playground just behind the property. There's lots to do in the area for kids of all ages to keep them occupied during your stay. It's perfect for families with the large self-contained garden making is safe for kids to run around in. 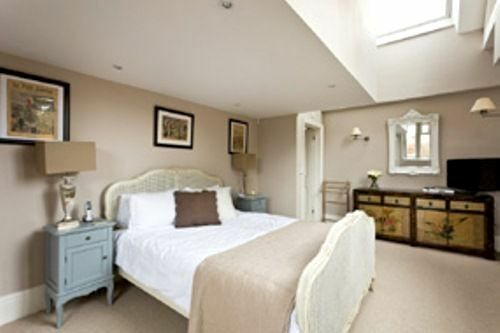 Sleeps 8 in beds + additional space for 4 children & cots in 3 x double bedrooms ( one with en suite shower room) & 1 x children's room with single bed (converts to a double), plus a family bathroom. Folkestone and Dover are within an hours drive. There's a village pub and tiny general store/farm shop within a short walk of the cottage. Babysitting can be arranged if pre-booked in advance. Baby-friendly gear at this cottage includes: 2 highchairs, baby bath, baby bouncer, baby monitor, steriliser, potty, stairgates, socket covers, plastic crockery, plastic cutlery and sippy cups. Also a baby bathing cradle, Aquapod bath seat and mat, and baby rocker. This child-friendly cottage has a handy selection of bath toys, kids books, general toys and U-rated kids DVDs. For older children there is an Xbox console, and more for little ones including an alphabet rubber play floor mats, Leapfrog Activity Learning Center and Fisherprice Jumperoo. Catering can be pre arranged for special occassions. Outside little ones will find ride-ons, trikes, swings, paddling pool and play house. As well as a Summer house, Swingball, boules, skittles, badminton, outdoor Jenga, bat & ball, rounders, and Little Tikes toddler car. In-cottage beauty and massage therapy treatments can be prearranged. Stairgates can be provided on request. 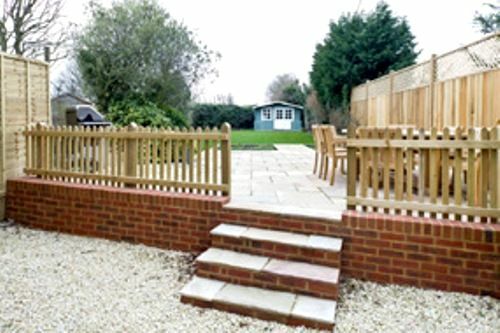 The cottage has a large enclosed back garden with lockable garden gate door making it safe for children to play in. There is also a patio area with outdoor dining table, chairs, barbeque, wood-burning chiminea, outdoor sofa seating/daybed. There is a lawned area with a summer house at the end of the garden, fitted with a bar and bar stools. Up to 2 travel cots and a moses basket are available for groups with several babies. The Old School was lovely, and well appointed. It is clearly a well loved holiday home. The house was clean upon arrival and there were plenty of clear instructions on how to use the appliances, and suggestions on local attractions. The owner, Lucy had even gone to the effort of leaving us a very lovely bottle of wine, and some welcome cakes. She was also very helpful with suggestions on catering, and ensured we had sufficient information for a great weekend away. Beautiful old converted school building with plenty of space - we stayed as a family of 5 adults and three under 2's and it wasn't claustrophobic or anything. The fire was lit every evening which was a real treat. There are plenty of toys for children of all ages, and the other kiddy paraphernalia available (kiddy cutlery and crockery, tommy tippee steriliser, stair gates, travel cots and moses basket, two highchairs and a bumbo etc) meant we could travel light(er!) than usual which was fabulous. The owner was also very forthcoming with information prior to the trip which was incredibly helpful and made planning much easier, and there is a well equipped list of all local amenities should there be any issues (pharmacies, doctors etc). I would recommend doing an online shop for delivery just after your anticipated arrival time so that you don't have to unpack and then head out for food as the roads are not the fastest locally and there are no major supermarkets in the immediate vicinity (though a couple of lovely farm shops). The milk, biscuits, bottle of wine and non-alcoholic juice were a lovely surprise on our arrival though! The house was great for the dog as well with a well enclosed garden and plenty of space so he didn't get in the way of the adults and children in the house. Don't miss the excellent hot chocolate shop/cafe in Rye! The perfect holiday getaway. A spacious, comfortable and luxuriously designed house that breaths happiness and class. Ideal for babies and toddlers and they thought of everything! The garden is big too. We had a lovely break and will be back. Wonderful weekend. Excellent property very suitable for young children.